Washington - Democrats, anticipating a sprawling 2020 presidential field, are planning to hold prime-time debates in June and July on back-to-back evenings to make room for as many as 20 candidates. The dates and locations of the debates have yet to be determined, Democratic National Committee (DNC) officials said during a conference call on Thursday. The DNC has instituted a series of reforms to make it more responsive to grassroots advocacy after the party, during the 2016 campaign, selected a debate format that critics said favored the establishment candidate, Hillary Clinton, over outsider Bernie Sanders. Most notably, the DNC has loosened the criteria for qualifying for the debate stage. To be included in the first two debates, a candidate must either reach 1 percent in three public opinion polls or raise money from at least 65,000 individual donors, with at least 200 of those donors originating from 20 different states. The latter criteria will require campaigns to focus on digital fundraising from small donors, a DNC official said, speaking on condition of anonymity. The debates, which will be held on consecutive nights in June and July, will be capped at 20 candidates total. If more than 20 qualify, candidates who meet both the opinion poll and fundraising criteria will be given preference. The lineup for each evening will be chosen at random, the DNC said. The first debate will be broadcast by NBC, MSNBC and the Spanish-language channel Telemundo. The second debate will be shown on CNN. 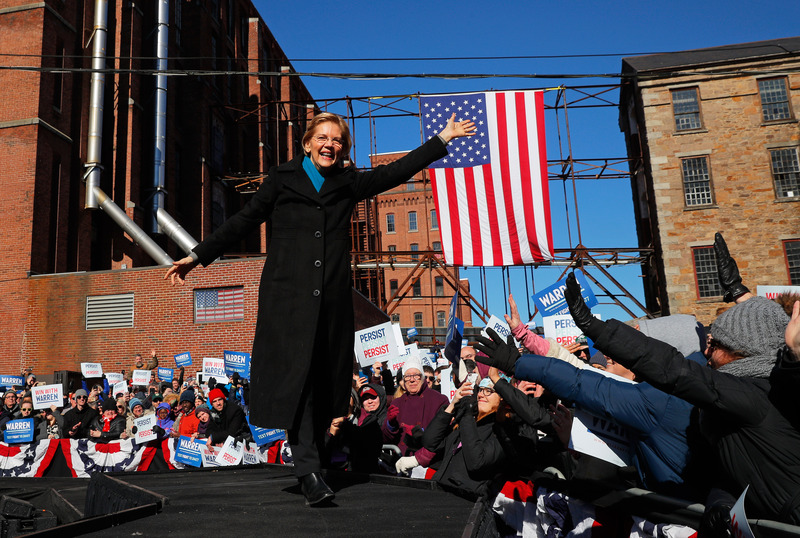 Nine Democrats have already declared their candidacy for president, with perhaps another dozen actively considering a run. Baruch Hashem. I wont watch or vote for them anyway. Good Luck to those that care.